Last week we had the visit of Andrés Rosario Hamann, from the SQD group led by Prof. Arkady Fedorov at the University of Queensland at Brisbane (Australia). 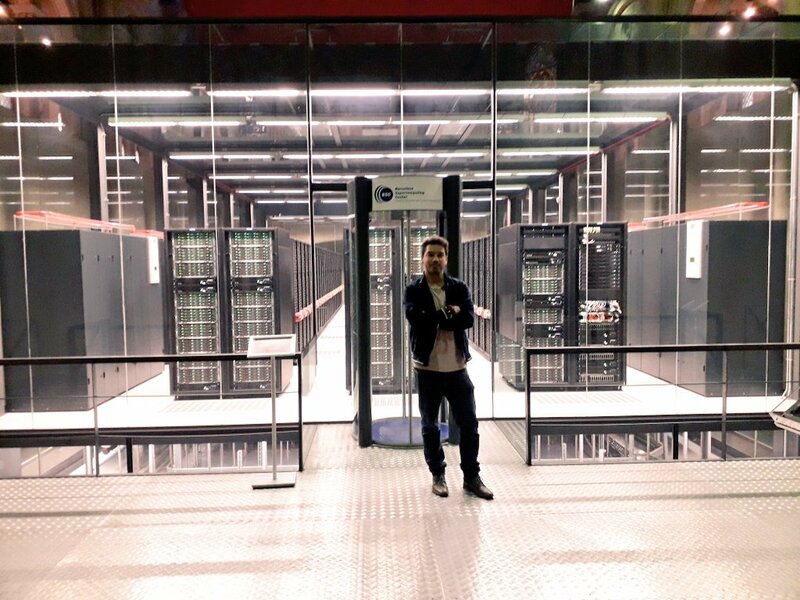 Andrés visited BSC and Mare Nostrum (see pic) and also ICN2, where Dr. Forn-Díaz is setting up the laboratory of Prof. Valenzuela. Andrés presented his work on a quantum diode built out of two superconducting qubits in a waveguide. Thanks for visiting us Andrés!